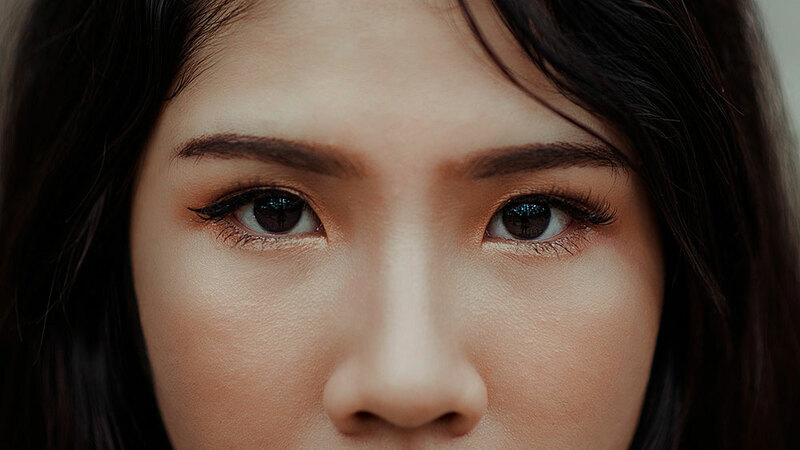 A poll from New Beauty asked readers, “On which area of your face did you first notice signs of aging?” and 58% of the respondents said they noticed first signs of ageing around the eyes. As we age, our skin loses its ability to regenerate and bounce back. This results in dark circles, eye bags and fine lines that become more prominent regardless of how much beauty sleep you’ve had. Dark eye circles may be caused by hyperpigmentation, genetics, over-production of melanin from sun exposure or hormonal changes. Let us introduce you to one of the oldest trick in the book to eliminate those horrid dark circles → Cucumber slices! Not only do they prevent dark circles, they also hydrate the skin to keep it looking fresh. As it’s not feasible to have fresh cucumber slices at all times, try the ést.lab‘s OptimaLift A+ Nano Bio-cellulose Eye Contour Mask that contains the active ingredient Haloxyl to eliminate the pigments responsible for dark eye circles. If you’re in need of a quick fix for your tired peepers, place these incredible (chilled) eye contour pads for 20 minutes and you’re good to go! Salt is not only linked to high blood pressure, but it can also cause fluid retention which leads to puffiness around the eyes. Excessive salt intake aggravates water retention. Stay hydrated by drinking at least 7-8 glasses of water every day as an increase in water intake will dilute the salt in your body, signaling the kidneys to release fluid. If you feel like you’re in a constant (eye) baggage battle, the cause might be deeper. As we get older, we lose collagen and elastin around our eyes, which compromises the tissue structure and causes sagging. The fat that usually stays around our eye orbital starts to migrate down to settle and form under-eye bags. Try placing a chilled, steeped chamomile or green tea bag over each eye and relax for 15 minutes. 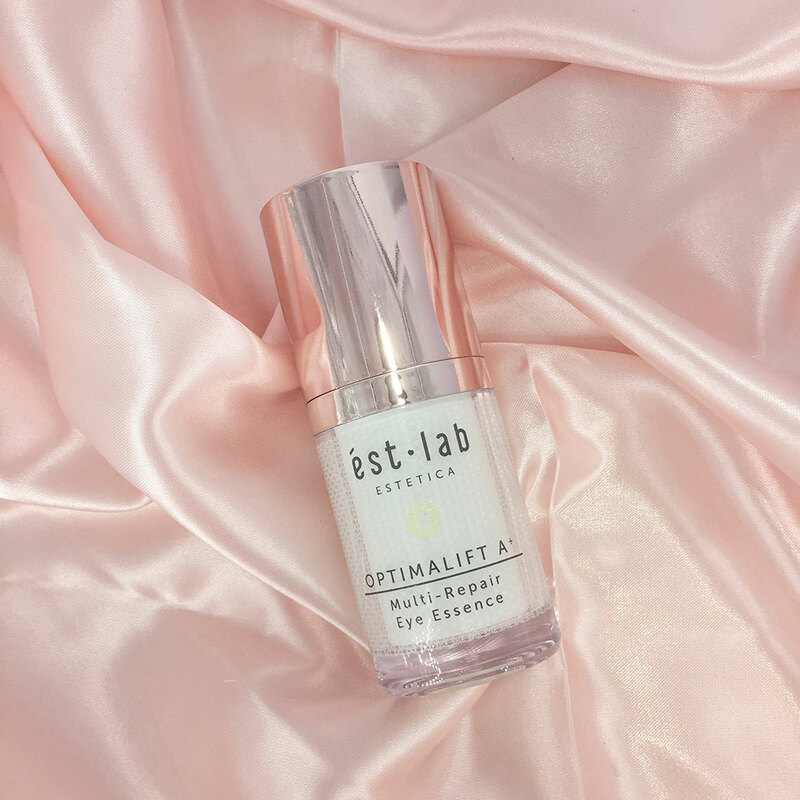 Alternatively, ést.lab‘s OptimaLift A+ Multi-Repair Eye Essence works just as well (if not better!) as it contains patented ingredient Eyeliss™ that increases lymphatic movements to decongest the eye area, prevent puffiness and reduce the appearance of eye bags. Oh, those sneaky fine lines – one (fine) day they just suddenly show up unannounced and decide to settle down on our faces permanently! The loss of collagen and elastin are main contributors to those lines and wrinkles. Sugar also makes our skin age faster as it promotes an environment where collagen is more likely to break down. Cutting down on food like chocolates, cakes, sugary drinks, or even “healthy” sugary foods like cereals and coffee can yield enormous benefits for your delicate eye area. 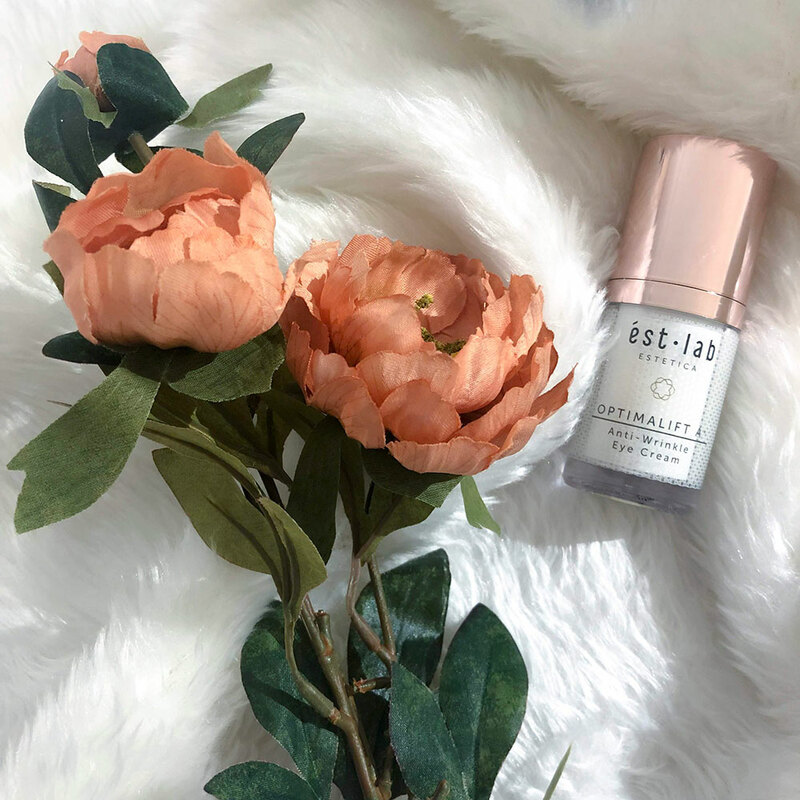 If you find that your sweet tooth is preventing you from cutting sugars out of your life, try the ést.lab‘s OptimaLift A+ Anti-Wrinkle Cream, which contains SYN®-EYE & MATRIXYL™ Peptide to increase type I collagen production and reduce wrinkles and fine lines. 🌸 SPRING SALE ALERT! 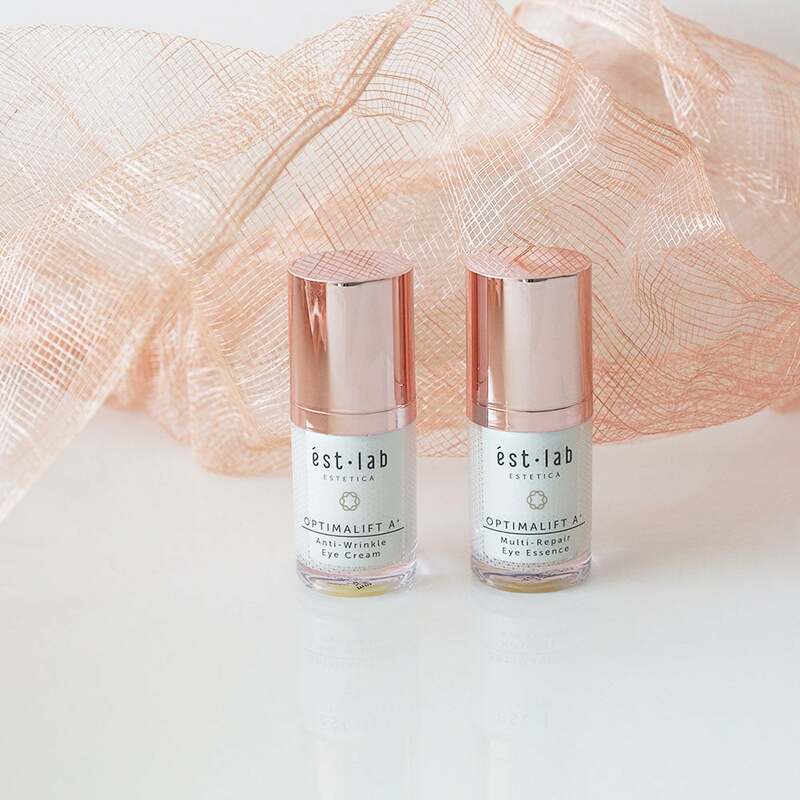 🌸 Purchase the OptimaLift A+ Eye Care Duo consisting of the Multi-Repair Eye Essence ($119) and the Anti-Wrinkle Eye Cream ($108) at 50% off from 29 March – 4 April 2019! Yes, you heard that right! A whopping 50% off, which means you get to purchase both at just $113.50! Click here to get yours today! Say buh-bye to tired eyes and hello to fresher, younger-looking peepers!